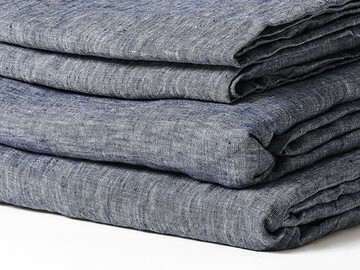 Machine washable to make life easy. 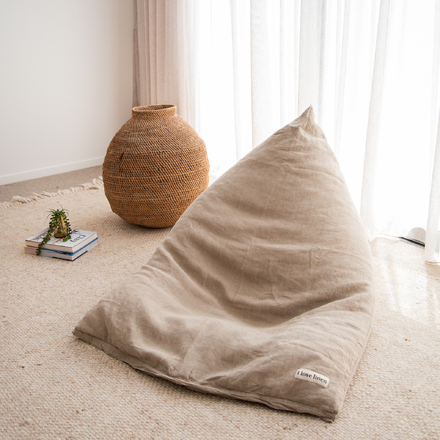 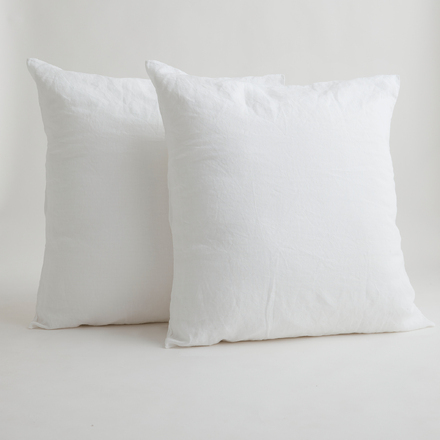 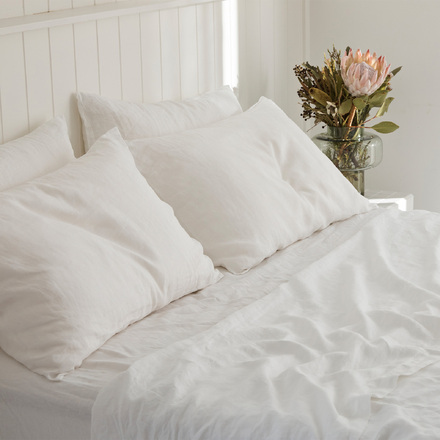 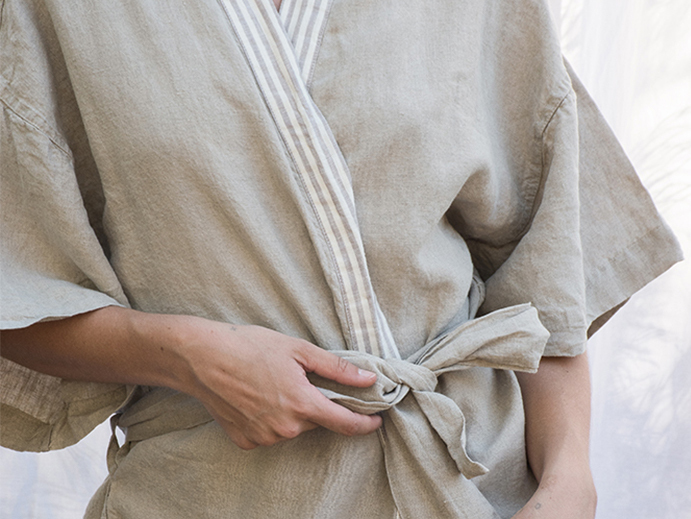 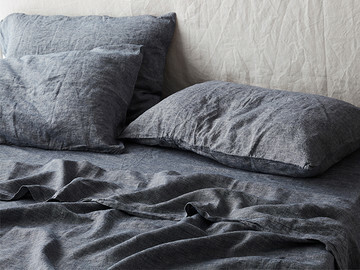 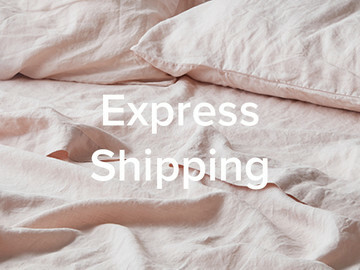 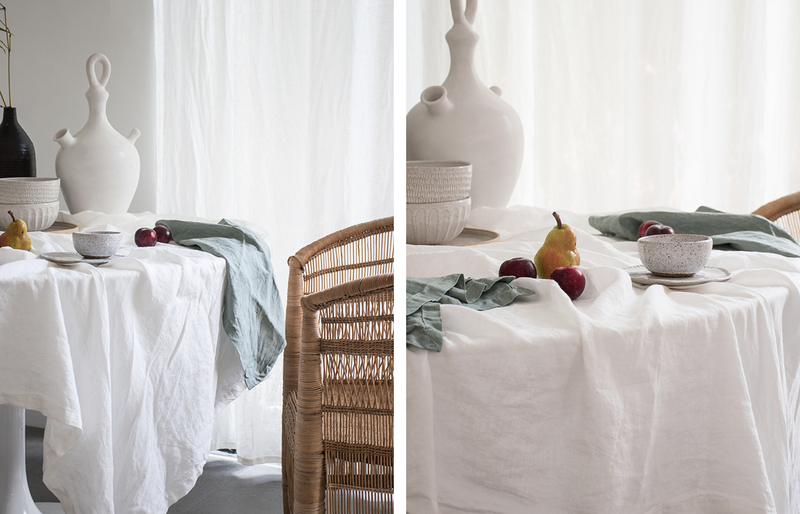 The drape of elegant linen works perfectly in any space. 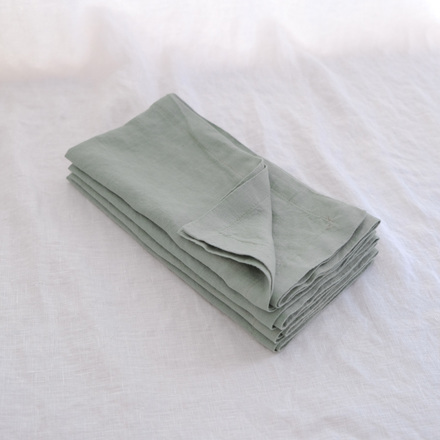 A simple 5cm border around the edges. 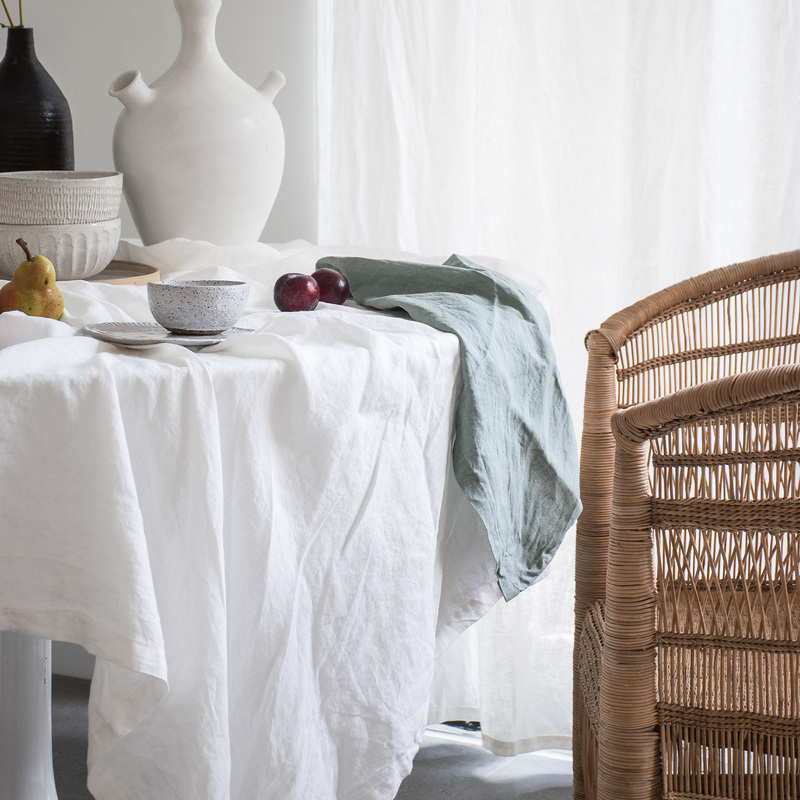 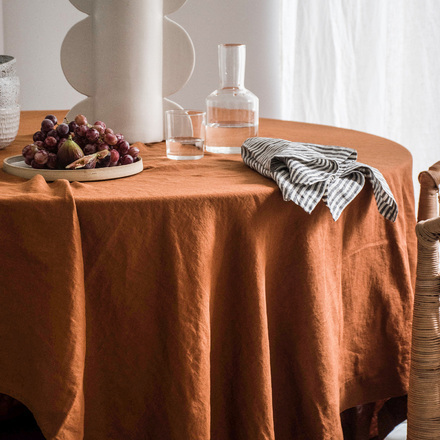 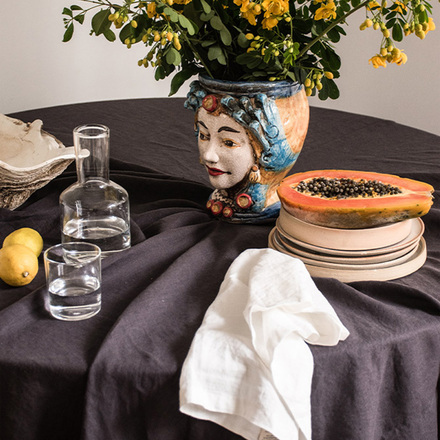 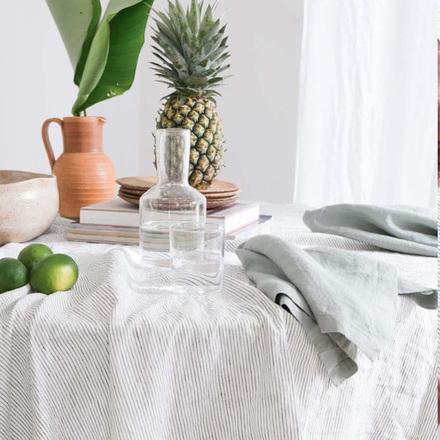 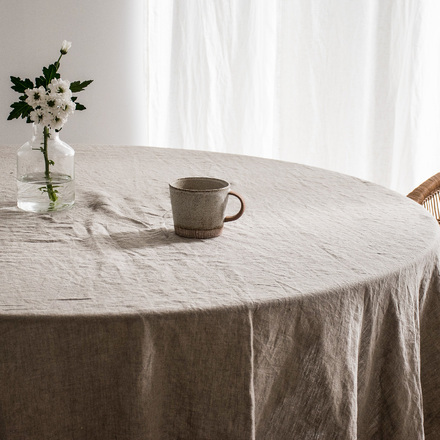 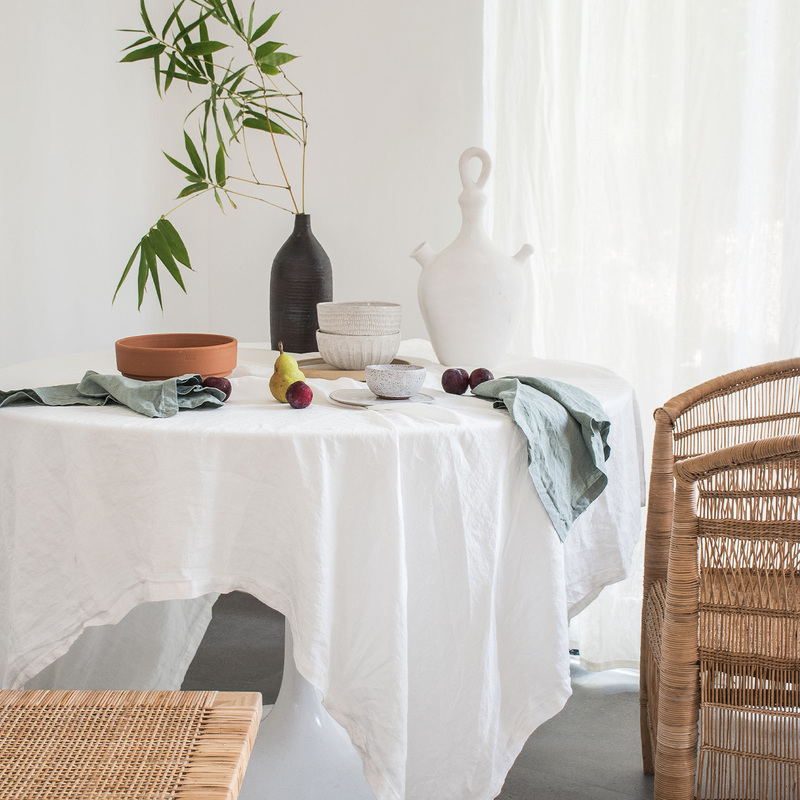 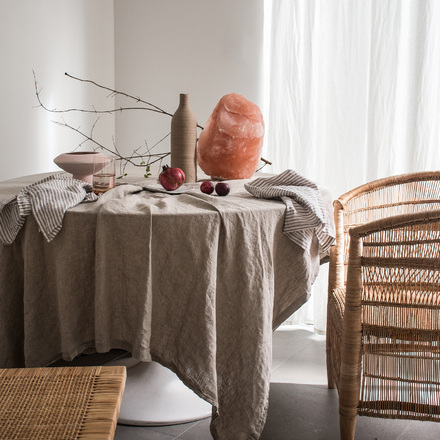 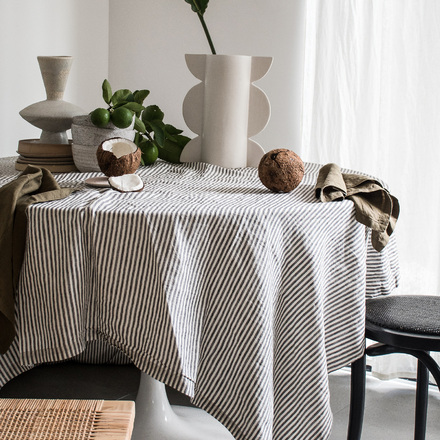 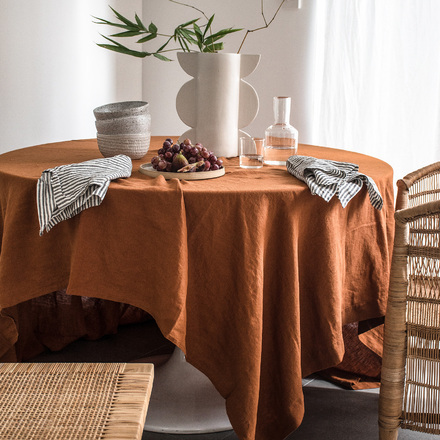 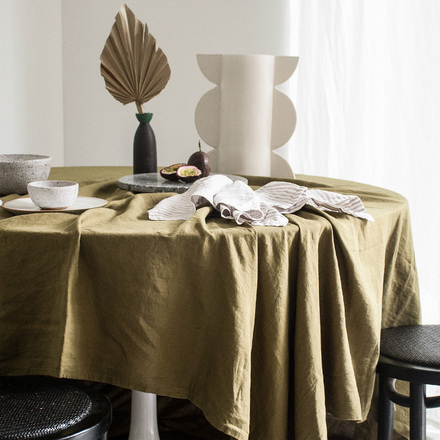 Transform your space with the elegant drape of a French linen table cloth. 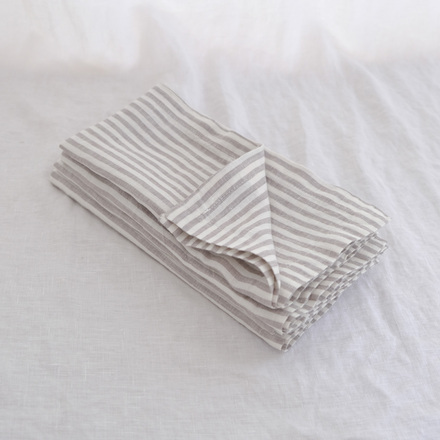 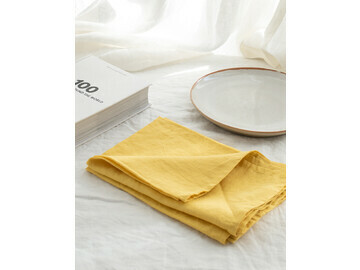 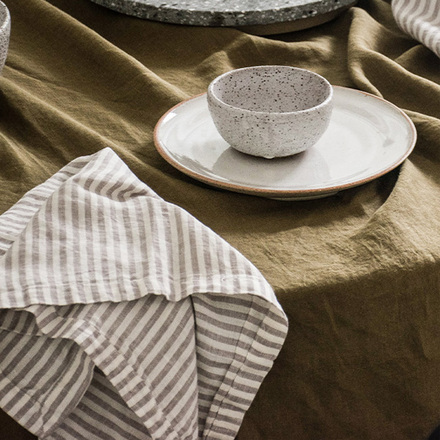 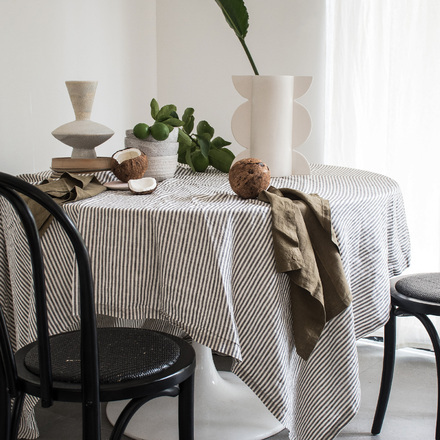 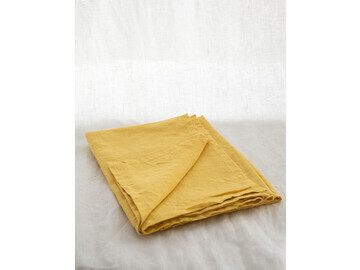 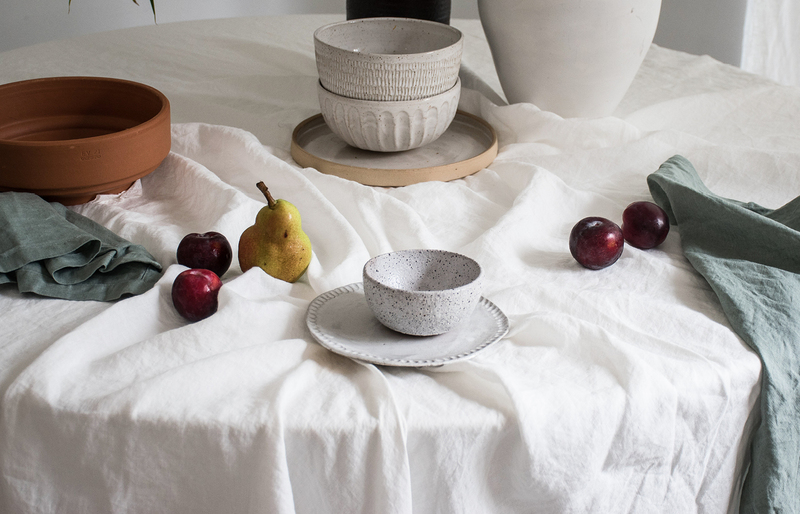 No matter what meal of the day, create beautiful everyday dining moments with our luxe French linen table cloths. 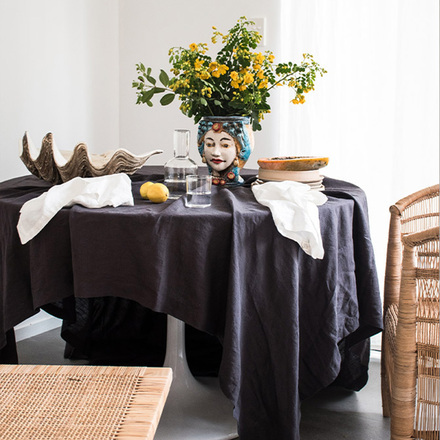 Set the table for a classic, laid back look, an easy way to transform a space with the beautiful linen drape and texture. 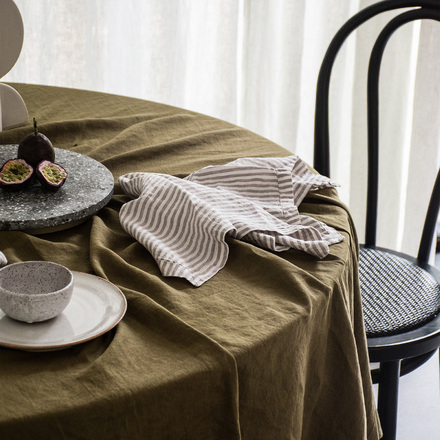 Lovingly hemmed and made with high attention to detail, fall in love with how simply elegant a luxurious linen table setting is.